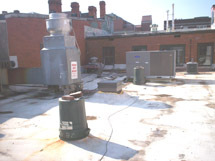 The owner was still having minimal problems with his foam roof, but his visual inspection told him that the partying had left his roof with multiple punctures, cuts, damaged places from bricks and cluttered with trash. 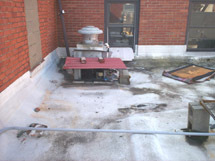 The owner wanted the damages corrected before they caused problems, and wanted his roof returned to a dependable condition. The condition of the roof was terrible. 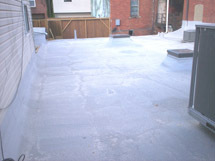 The owner cleaned off the trash and power-washed the roof to prepare it. 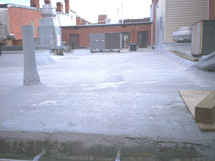 Foamcoat had to correct the damaged areas, apply new coating to the roof and find a way to help protect it from further damage. The foam was generally in good shape. 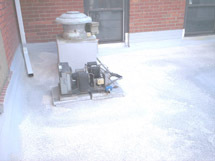 The roof required caulking, sealing and touch-up foaming to damaged areas as well as flashing of new AC units, vents and other new protrusions. The owner thinks the roof looks “better than ever”, has been “toughened up” and expects even longer life of his coating after the update. 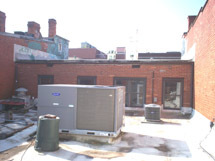 While he’s taking steps to discontinue its accessibility for “after hours” enjoyment, he feels that the roof is even better equipped to withstand any potentially detrimental activities in the future.